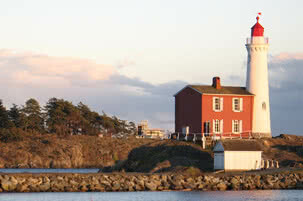 Northwest of Victoria is where you can find the recently (1993) incorporated municipality of Highlands. This thinly populated (approx. 2000) rural residential community is amazingly picturesque and provides an opportunity for those who are seeking a retreat from urban life, while maintaining an easy commute to the city and amenities. There has always been a strong commitment to conservation in this community and a tradition of stewardship in support of the local ecosystems. Development in the area is subject to bylaws intended to lessen impact on local flora and fauna, as well as preserving the rural ambiance. People are encouraged to build homes that minimize negative environmental effects, and that blend into their surroundings. Stategies include positioning homes to be less visible from roads or viewpoints, avoiding vegetation removal where possible and employing natural materials in construction. The result of this commitment is a community that treads softly in nature, and is molded by the land rather than drastically altering the environment to suit its needs. It may seem isolated when you are there, but the people living in the Highlands enjoy an easy commute to communities on the Saanich Peninsula, the Western Communities and Victoria. 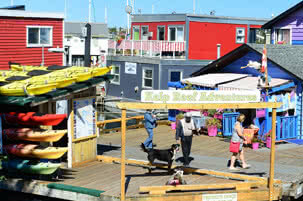 In fact, many residents commute regularly for work as the municipality offers little commercial or industrial activity. 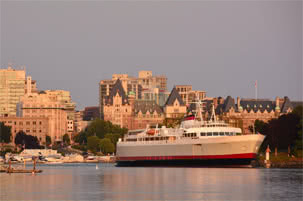 If you need to travel, the Victoria International Airport and the Swartz Bay Ferry Terminal are close by. Highlands has its own Fire Hall operated by volunteers and policing is provided by the RCMP. Homes in the Highlands range from rustic cabins to massive estate properties. There are people who live here full-time and those for whom the Highlands is their summer getaway. One thing you won’t find here is an urban style subdivision, a purposeful exclusion planned by the municipality to safeguard the rural atmosphere. People who choose to live here do so because they enjoy nature, and there is an ingrained tradition of volunteerism and a “help your neighbour” attitude that evokes the pioneer spirit of the past. During the winter months the Highlands receives about 30% more rainfall and slightly cooler temperatures than Victoria, mostly because of its marginally higher altitude. This is important to top up the wells that are relied on by residents for water supply. Francis/King Regional Park offers 11 km of forest trails including the Elsie King Trail and boardwalk which is accessible to wheelchairs so the less mobile can experience the joys of a wilderness excursion. Highlands Coffee House – the second Saturday of each month October through August you will find locals meeting at Caleb Pike Heritage Park to socialize and discuss community concerns and happenings. Those who would like to step back a bit from urban life will find the Highlands has much to offer. The pristine natural beauty of the mountains, highlands and shorelines, which offers numerous options for recreation within the parks, the friendly, close knit community that is determined to protect biodiversity in the area, and the proximity of amenities and services provided by nearby communities. These are some of the many reasons why the municipality of Highlands might be the right place for you to live.